Livable Nepal's "Gari Khana Paune Nepal " popular campaign " Gari Khana Deu " which has been a pressure campaign to initiate a movement that carries forward the message of a Livable Nepal – a condition whereby one is able to earn a living by pursuing a profession or an economic opportunity. Also known for one of the leading campaign's on raising voices of Nepalese community has now collaborated with several organizations on Charity Programs and Charity shows. The campaign for Livable Nepal is not motivated to benefit any individual; it is an attempt against Nepal banda, strikes and anything that we don't support. That is why, this campaign needs lots of support from everyone who believe in banda free Nepal to be successful. You can support the campaign by talking against everything that you think is a hindrance in the pursuit of economic prosperity of every Nepali. Buy campaign T-shirts and bumper stickers. Since this campaign is not supported by any organization or individual financially, you can provide donations for the campaign. You can always support the campaign on your own or jointly organize some initiatives like recently one of the upcoming popular movie in the town "Highway" with its production's - Aadi Productions in association with Louverture Films. 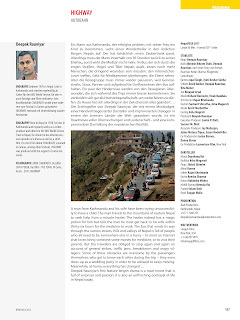 As shared on the plot line of Highway- Set among the breathtaking landscapes of Eastern Nepal, "HIGHWAY", the first full-length feature of director/ producer Deepak Rauniyar, follows the journey of nine characters whose individual stories become accidentally interconnected during an ill-fated bus journey they take to the capital Kathmandu. The passengers - each of whom urgently needs to be somewhere else – find themselves stranded on the only main road due to an improvised and unlawful blockade known as a " bandh". While the journey is thwarted numerous times awaiting a resolution to the combustible strike, the film's story shifts into the characters’ psychological and spiritual "bandhs " that many Nepalis are contending with since the end of the bloody 12-year civil conflict. While the trailer amazed many but also during its pre production and production phase that made one's eye keep on popping that a movie's post production was able to be done from Kickstarter Project collecting in total $33,647 and possibly as i know the largest funding ever by November. I am glad that i had been one of the supporters and glad to know 240 had supported on this project. Not just that made us move rolling, the roller coaster had made all the South Asian cherished on the 80 min length feature film Highway as it was only the South Asian movie got selected (yes indeed not even one from Bollywood) on Panorama section of the 62nd Berlin International Film Festival, also being nominated along with 26 other films for Best First Feature Award that took place from February 9 - 19, 2012 in Germany. While, you will be amazed to hear that it had not just only a screening but total of five screenings . YES! Total 5 Screenings and the Premiere at such a great and prestigious International Film Festival - 62nd Berlin International Film Festival. As Highway had already had its screenings and premiere at 62nd Berlin International Film Festival but it wouldn't have been complete until the film or to say a well featured film indeed "Highway" being screened in its hometown. So, what could be the innovative team do then yes for sure they just love collaborating and risk is what they take in turn on . Highway collaborated with "Gari Khana Deu" as they focused a log on anti- bandh's campaign. Let me not tell you everything but the Campaign Secretariat and Coordinator- Dilip Gurung is here to answer some of our questions in his own words. Why is this Charity being done and where does the Charity amount goes to ? The fund raised will be used in producing campaign materials with a target to reach 50-60 district by this year. Why has Gari Khana Deu collaborated with Highway to raise the funds? Gari Khana Deu advocated for security of life and property, proper and effective implementation of rule of law and freedom to enterprise and participate in profession of one(s) own choice for livable and prosperous Nepal. Banda is one of the evil cultures and hindrance in prosperity and Banda completely violates all three fundamentals of the campaign. The movie tries to present how normal Nepalese citizens suffer during Banda in highway and the reality of current scenarios in highway. We jointly organized interaction program about banda and its consequences in individuals life in various colleges inside Kathmandu. We have collected bite as well from the students. Currently we are planning a charity show and in future we have brainstormed few issues but lets see how it goes. Let's have a look and take a step on move with Gari Khana deu's special "I Share" with if may be you might have experienced the same as the characters in Highway.What happened to me on one Bandh day? If you have ever suffered from the bandhas, strikes, protests, etc. you can write it and share it with others who may have similar stories. 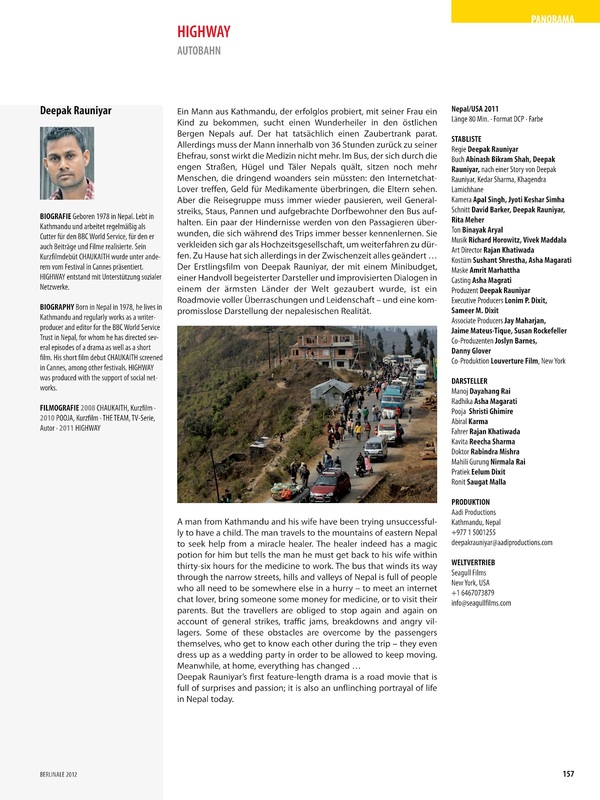 You can even write articles on the issues that has become obstacles en route to Livable Nepal. Click "I Share" to share. So, all in all as i have always to say you have lived so far with all this fancy stuff on you. If it's not fancy may be all you have been carrying around you all the time ;) would be more on average 12 times the charity amount here for "Gari Khana Deu". So, why not pouring that for the noble cause than for your special "Piggy Bank " or your cute and heavy "Bank Account". Gaurav Kandel, loves writing on several issues and this time makes him travel with the upcoming movie Highway. All he says is not sure whether its gonna be Sweet, Sour or Bitter its just you experience it at it's screenings and charity show.